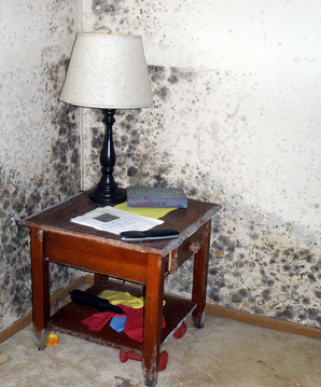 A mold problem is always a moisture problem. Moisture problems in buildings can be caused by emergency water damage from floods, broken pipes, failed appliances, etc., as well as by on-going and unnoticed leaks from pipes, roofs or around doors and windows. In some cases, building design issues that cause high humidity levels also can support mold growth. When mold is discovered, ICC’s trained technicians will locate the source of the moisture and recommend a course of action to eliminate the problem quickly. Consultation, including environmental testing to identify the source and extent of the mold. 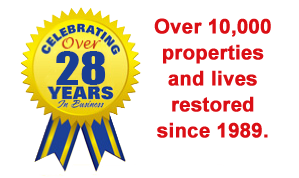 Full service remediation, involving controlled demolition and safe disposal of mold contaminated materials, as well as thorough cleaning and sanitizing of any affected areas. A variety of other techniques appropriate to the project conditions as required. Mold remediation done in conjunction with an Environmental Consultant or Certified Industrial Hygienist, if desired.